Perforated Leather Seating|Denali Ultimate Package! In the extremely competitive truck segment, it's the little things that set this GMC Sierra 1500 pickup truck apart putting it at the top of its class. This onyx black Crew Cab 4X4 pickup has an automatic transmission and is powered by a 6.2L V8 16V GDI OHV engine. Equipped with that strapping motor it gets 15.9 L/100 km in the city and 11.5 L/100 km out on the highway according to Transport Canada. Our Sierra 1500's trim level is Denali. 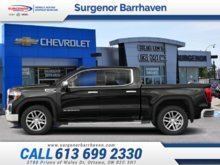 This Sierra 1500 Denali is the top of the line and comes packed with luxurious features and top grade materials. High-end equipment consists of full features 12 way - power leather seats with heating and cooling options, Intellilink with an 8 inch touch screen and navigation system, a premium Bose audio system, an enhanced driver alert package with forward collision alert, lane keep assist, Ultrasonic front and rear parking assist plus much more. It also comes with unique exterior styling details include exclusive aluminum wheels. 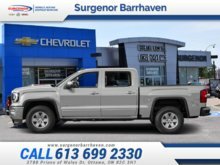 This vehicle has been upgraded with the following features: Perforated Leather Seating, Denali Ultimate Package. Total rebate of $15159 is reflected in the price. Get up to 20% of MSRP Cash Purchase Credit on Now! Incentives expire 2018-10-31. See dealer for details. 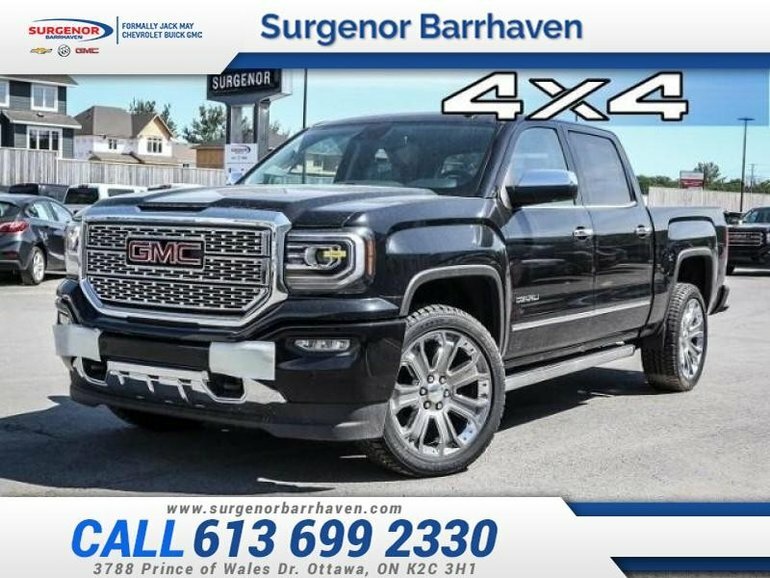 Ce véhicule, GMC Sierra 1500 Denali - $439.29 B/W 2018 vous intéresse?